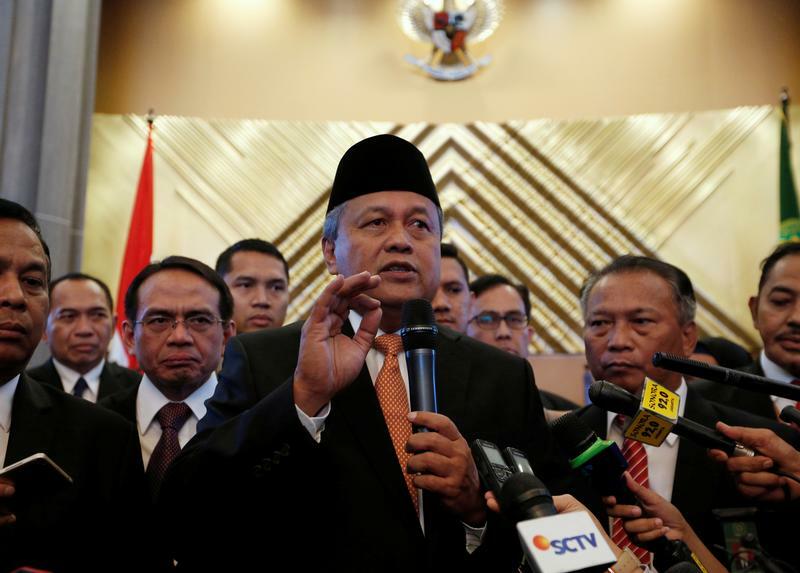 Perry Warjiyo, Indonesia's new central bank governor, speaks to members of the media following his inuaguration in Jakarta, Indonesia, May 24, 2018. The rupiah depreciated as far as 14,940 against the dollar on Sept. 4, its weakest in 20 years. The Indonesian currency is one of the worst performing Asian currencies after the Indian rupee so far this year, having lost nearly 10 percent of its value since the beginning of January. Indonesia’s government said on Sept. 4 that authorities would take “firm action” against currency speculators. Large transactions would be checked by the central bank and the financial services watchdog, Finance Minister Sri Mulyani Indrawati said. Bank Indonesia, the central bank, has raised interest rates by 125 basis points since May and spent billions of dollars intervening in the market to support the rupiah. The central bank has also sought to widen the range of hedging options available to companies and investors by introducing overnight index swaps and interest rate swaps. The government is also trying to curb imports, for example by postponing or restructuring several strategic power projects.